In December last year we published an interview with Dale Vince. In case you are not aware, Dale Vince built up a renewable energy company in the UK, Ecotricity, which is a not-for-dividend company, and has as its aim not just to make a profit, but to use the money it makes to invest in more renewable energy systems and schemes to enhance the environment, locally, and nationally. Dale also initiated and developed the rapid charging network on the motorway system, starting in 2011, and is therefore mainly responsible for enabling a market for electric vehicles in the UK. He is therefore a very important figure in the clean tech world, and we were very privileged to be allowed an extensive interview. We consider this such an important interview that we are running it again, because, as you know, we publish such a lot of high quality content every day, that it is easy for people to miss important things, so we are giving everyone a second chance to catch this interview with one of Clean Tech’s greats. Rather than just repeating what we published before, I have broken the interview up into separate parts, and am running a series of articles which will include new material by way of a review of what was discussed, what has happened since, and what we can look for in the future. The first in the series covered the fascinating story of how Dale started with absolutely nothing, and without borrowing from banks, or having shareholders to cater for, built up a £multi-million business in the renewable energy sector. This is the second article in the series where we delve into the compelling story of how Dale started the UK fast charging network on our motorways (freeways) as early as 2011. Dale Vince, the founder and Managing Director of Ecotricity, gave this interview on 16th November 2017, and I am very pleased to present the second part of it, here. The Electric Highway – How Did it Get Started? Q: Now, one thing you’ve not mentioned is the Ecotricity Electric Highway charging network. 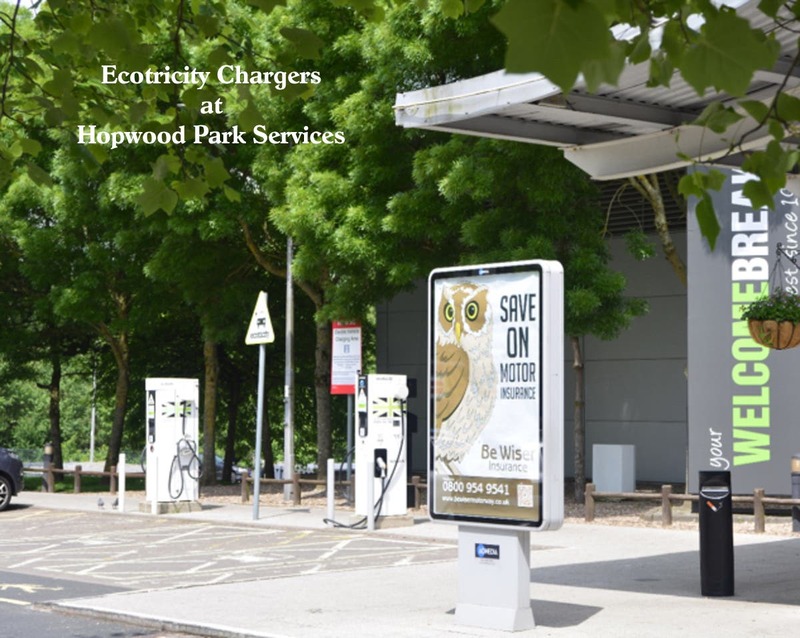 I am especially interested in that, because I have been running an electric vehicle for a couple of years, now, and the network has been a great boon to me, allowing me to travel to many different places, with very reliable Ecotricity fast-charging points all along the way. This started in 2011, long before most other networks in this country, or any other, and most definitely paved the way for electric vehicles to be a viable form of transport in the UK. Can you tell me anything about how the idea came about, how it was practically implemented, and the role of any other organisations in providing money, expertise, or equipment, and the actual car-park sites, for the Ecotricity chargers? In 2008 I wanted a green car, but I couldn’t find an electric car anywhere in the world. This is pre-Tesla: nobody made one so we decided to make one, and we thought we had better make it a really great car because, you know, our approach to previous stuff is, if you’re making an alternative to conventional anything, food, football pitch, car, you name it, it’s got to be great. 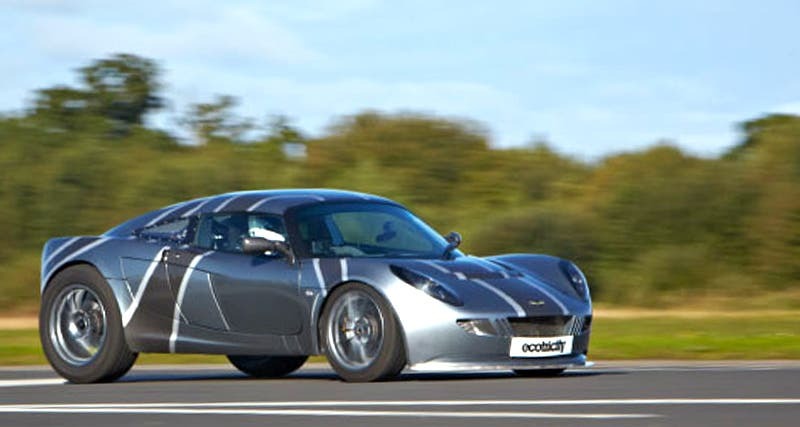 So, we decided to make it a supercar, a one-off, which still holds the land speed record, ( On 27 September 2012, the Nemesis recorded a top speed of 243 km/h (151 mph) at Elvington Airfield in North Yorkshire, a feat that broke the land speed record for EVs in the UK. The previous record was 220 km/h (137 mph).) It looked really good, and it has great performance as well. It was on the road in 2010, and the experience of having that on the road led us to see that the infrastructure was the missing piece of the jigsaw. It was a bit of a chicken and egg thing going on. People were not going to buy an electric car unless people built somewhere to charge, and vice versa. We could see that all the big manufacturers were talking about it, and so we thought we need to focus more now on the infrastructure. Our analysis was that the motorways were the place where chargers were needed the most and first, so we got in contact with all the motorway operators, and agreed to contracts with them to start installing electricity pumps on their forecourts, and our first ones were just three pin plugs, and we knew it wasn’t practical. We were honest about that, but it was better than nothing for anybody who did have an electric car, and not many people did. We knew that the technology would change, and within two years we were building 50KW fast chargers that would charge a Nissan Leaf in 20 to 30 mins. Next year, we’ll be building 350 kW chargers, which will charge up a 300-mile range car in 15 mins. This is just an incredible rate of progress in the car industry and the charging industry. So, that’s where the idea was brought from, to help kick-start the revolution for EVs. That was always in our minds when we built the Nemesis. We wanted to show what it would be looking like to drive a car in a world without oil. That led us to the infrastructure of our Electric Highway. So, we’ve been helped in this by our landlords, the motorway services operators, but more than anybody else by Nissan, who stumped up an awful lot of hardware for us to build this network, because they could see that it was going to help people to buy cars, and it is probably no coincidence that the Nissan Leaf is the top-selling electric car in Britain. Q: I find the chargers reasonably easy to use, but it seems a common thing for all chargers to require a card or smart-phone app to use them. Why can’t an electricity pump work in the exact same way as a fuel pump, where you just put your credit card in the slot, fill up, and that’s all there is to it? That would be the ideal, and we absolutely aspire to it. I think that all that has happened is, the technology wasn’t there at the time in 2011, and when fast chargers came, they weren’t enabled for that kind of operation. It was still very much a niche industry, and we can see now that all of the car companies in the world are planning not just to have EVs and hybrids, but most of them are planning when to stop having internal combustion engines, you know, planning a total transformation. That is leading to much more sophisticated hardware becoming available to us next year, and we will have, I think, contactless card payments for charging, app free, and membership card free, in summer next year. Q: Right, well that is great news, and, to some extent, answered the question I was going to ask next, which is if you have any big plans for the future of the Ecotricity charging network? We don’t really: we want to keep pace. We’ve done the motorways, done some A-roads, and we’ve done some ports, and airports. We are doing some garages (gas-stations) around London next year, but a slightly different model. With these big fast-chargers, the aim they make possible is to make an electric car analogous to the way most people use internal combustion engine cars, in terms of refuelling. Most people go to the garage once a fortnight, spend 5 min filling up their car, and then drive away. This should be possible for EVs with the new technology. So we will be moving into garage forecourts with that kind of kit. That takes away all the angst around car-park charging, and on-street charging, and the idea of using lamp-posts to trickle-charge cars overnight and stuff, you know. We have to learn that technology is killing range-anxiety, and all this special treatment around electric cars. Q: That sounds great for the near future, when the chargers and battery capacities of EVs allow you to “fill-up” like that and forget it, but for the moment, with today’s vehicles we still have to recharge on longer journeys. One concern I have is that as more organizations begin providing charging infrastructure, it could become more and more fragmented. I’m thinking of Tesla, for example, providing chargers that can only be used by Tesla drivers, and Shell providing chargers that all can use, but needing yet another smart-phone app, and European auto-manufacturers announcing a network which will only have CCS connectors, which they plan to have as standard on their cars. What are your thoughts on that, and what solutions do you see for a more integrated EU-wide system (including the UK – we have not left yet), and is there a role for government intervention to ensure standardization, at the National or EU level, which seems somewhat lacking at the moment? Recently, our government has just decided that they needed to intervene by giving themselves powers to force all motorway service operators to install fast-chargers, and they don’t seem to realize that they all have them already (Ha Ha), so to the question of do I think governments need to intervene, the answer is no, not really. Unless of course they have a time machine, and can pop back to 2011 and make it so. I think the answer to this question and the problem lies in the previous point, as to how it will no longer be a big deal. We will be able to just turn up, and use the charger like we would a petrol pump. That’s coming, and I know we have got a lot of bespoke networks where you need different memberships, and apps — that won’t exist in the future. I think the problem will solve itself. Q: I suppose by government intervention I was thinking more in terms of standardization of charging connectors and provisions, like when the EU set the Mennekes 2 connector as standard for level II charging. Also, they could require anyone providing fast charging to the public to provide some level of universality of access, so that anyone could turn up and use those chargers. But I agree with what you say, that if new chargers are going to be accessible to users with a contactless credit card, and many more come on line, then the problem will solve itself. Note – I can see, by the answer he gave, that Dale was aware back then of the Automated and Electric Vehicles Bill, which only became an Act of Parliament in July 2018. He did not seem properly aware of its full implications though, as what I was saying about standardization of access, connectors, and payment methods — though I was totally unaware at the time of the interview — is exactly what the Act is aiming to do. Judging from his dismissive comment about government intervention, Dale seemed unaware that the new government powers are much more far reaching than he appeared to think, and might have major impacts on that side of his business. I can imagine he might be somewhat resentful of the government telling him how to run his Electric Highway now, having done nothing to help previously, and left him to do all the hard work of setting it up. I can also imagine Tesla being somewhat caught unawares as I think they would tend to think that they own their charging stations, and so can do as they like, but as they are public charging points, the Automated and Electric Vehicles Act would apply to all their super-charging Stations in the UK. I did e-mail them about it but did not even get the courtesy of a reply. Note – Since the interview the study has moved on to include “Smart Charging,” where the power distribution company is able to remotely control my charger to ensure local capacity is not exceeded. This is now considered how all chargers will be in the future in the UK, and will ensure grid and local capacities are not exceeded. Well, nicely, although it’s a long question, I’ve got a one-word answer – yes. I could give you more details, but the answer is yes. It’s the smart metering program that is making that possible. That begins in earnest next year, and it comes back to the answer I gave earlier as well. One of the complexities of being in the domestic supply market is there is no metering on a half-hourly basis, which is the resolution point for electricity supply in Britain, by the half-hour, so you have to force the shape into it. What that means is in effect, you can’t incentivize somebody to charge-up in the small hours of the morning, because you can’t see if they’re doing it or not. Smart metering solves that problem. So, the smart meter tariff that we’re planning for next year will fully cater, not just for electric vehicles, but also for people with storage units that they want to charge up at night as well. They can be fully reflective, not minute by minute, but of half-hour by half-hour changes in price on the grid. Q: Well that is good news. I would really like to charge-up at off-peak times, but the price is just the same, and I have no way of knowing precisely which time is off-peak. It leads on nicely to the next question, and partly answers it. What are your thoughts on how electricity generation and distribution will meet the increasing demand from an ever-increasing number of EVs charging up at home and on the road? It won’t be a problem. We made a calculation a few years ago of what it would look like if all of Britain’s cars were electric – 30 million of them – 250,000,000,000 miles per year. It worked out something like 12% increase in the grid-delivered electricity, which was, back in the day, about 3,000 windmills or something like that. That is really nothing out of the ordinary; nothing that we couldn’t cope with. Of course, fluctuations in weather and demand and stuff have to be accommodated, but the smart grid that everybody talks about has to do that anyway to allow increasing proportions of renewable energy into the grid, so I just don’t see that as a big deal. Q: Well, that buries the myth that the grid would go down under the strain of all the electric cars, if we all went electric. 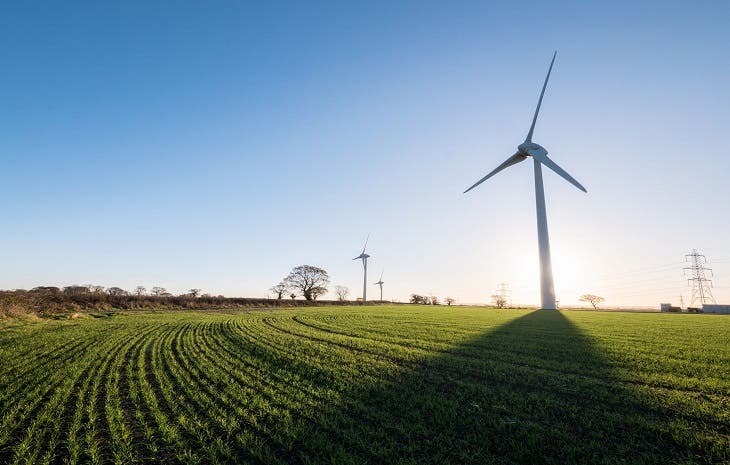 It has been great to have this opportunity to ask you questions about the huge achievement that Ecotricity has made, towards putting green energy on the map. We end here for now, but will soon bring you the ultimate Part-3 of this compelling interview with Eco-giant Dale Vince. As an electric vehicle driver, I was especially interested to hear that new mega-chargers are coming out as early as this year, along with chargers that just need a credit card to operate. It’s a bit of a hassle having to wade through all those stages in the smartphone app to get the charger running. What if I forgot it, or it malfunctioned? It is just one more thing that can go wrong. On one occasion this year my phone died, and I could not charge up, so I can definitely benefit from not needing the app. The Automated and Electric Vehicle Act of 2018 might force the pace on this, but so far, Dale’s optimism about changes this summer is not matched by the realities, and everyone is still very much requiring the phone app to operate the chargers. I am not so sure about plugging my little Ion into a 350KW charger: it might squeal and run away. I’d have to check up on that one. I would assume that just as now, the car and charger “talk to each other,” and so the charging voltage and current is set to match the capacities and requirements of the car’s onboard systems. Only a car able to accept very high charging currents would be able to make use of the increased capacity of the charger. Personally, I have doubts about the wisdom of frying batteries with mega currents just to reduce the charging time by 20 mins. As I argued in my article about optimum range, people have to stop for a rest in any case, and the present charging times are fairly closely matched to the length of time people stop for. The improvement I would like to see is more charging points at each station. Having just one is never enough, because if it is out of action, so is your car. Also, more electric vehicles are using the chargers these days, so more are needed to avoid waiting. The smart meters that would allow me to charge off-peak are also good news. I am looking forward to that, but again, there is nothing happening in my area yet. I liked what he said about a 12% increase for the grid to run every car in the UK on electricity. Electric vehicle detractors have tried to use it as a big scoring point to make out the grid would grind to a halt from electric vehicle charging. They are not all going to be charging at the same time, in any case. With bigger chargers and bigger batteries, people will mostly charge at home still, but as Dale says, will only need to “fill up” at a public charger from time to time, so driving an electric vehicle will become easier and more convenient than driving an internal combustion engine car. My only reservation is that bigger batteries are heavier, and so are less efficient, and energy is being wasted just to carry around an unnecessarily large battery. The cost of the car and replacing the battery will both be higher when batteries are very high capacity. If every electric vehicle is using more energy than they need to, just to carry around an oversized battery they do not really need, that will be wasting energy at a time we need to be more energy efficient.